Due to their construction, composite bursting discs (composite rupture disks) are ideal for use at low to medium burst pressures. Using the latest laser technology, we cut special predetermined breaking points in foils of stainless steel, nickel, nickel-based materials (Inconel, Hastelloy)* or tantalum with the highest precision and can set the exact bursting pressure required by our customers. It is therefore possible to achieve low pressures from 20 mbar (at an operating temperature of 20 degrees Celsius). If the operating pressure exceeds the permitted value, the foil will tear segmentally or fragment-free in a hinge-like pattern. So they can easily be installed in front of a safety valve. 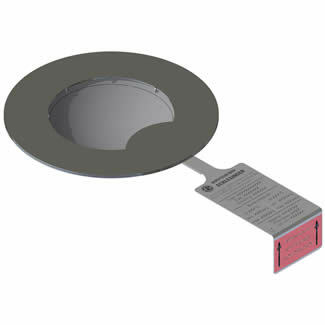 We install a precisely fitted PTFE or PFA sealing diaphragm between the slotted metal foils. These composite bursting discs (composite rupture disks) can be used at operating temperatures of up to 200°C. Our standard bursting discs are provided with the nominal widths DN15 to DN900. As always, we can adapt our product specifications for the material, dimensions and pressures to your individual application. We manufacture composite bursting discs (composite rupture disks) in two versions: as bursting discs for overpressure or underpressure and as bi-directional bursting discs. Both can be mounted in the holder directly between standard flanges according to EN1092 or ASME B16.5. 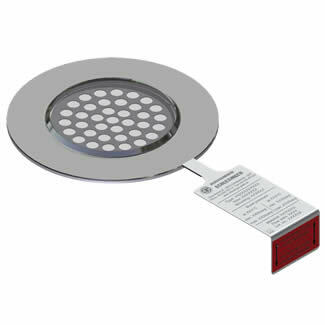 In addition, we can provide our composite bursting disc (composite rupture disks)s with burst detection. While we use our membrane signal transmitter for composite bursting discs (composite rupture disks) mounted directly between the flanges without a holder, bursting discs mounted in holders or in clamp couplings come equipped with our signal transmitter with an inductive proximity switch.